I have to be honest with you, there is not a whole lot of cooking, especially interesting cooking, going on at Chez Good Appetite these days. 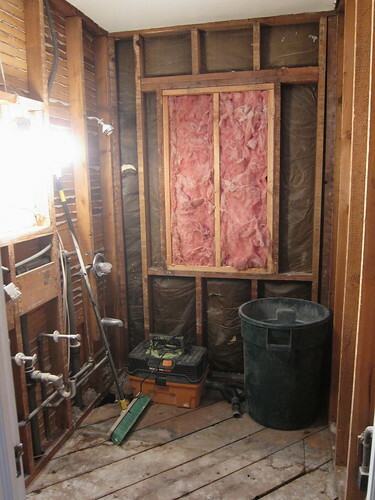 We are currently in the midst of having both of the bathrooms in the house redone, we're talking gutted to the studs redone. First there was the smaked salmon pizza made with Matt's home smoked salmon. For this one we wanted a creamy cheese, so we went with Fontina. 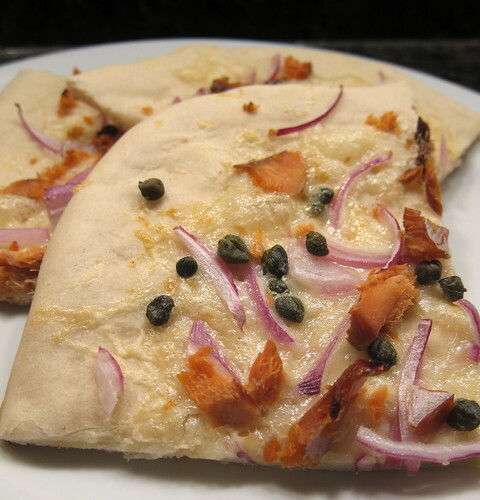 Then added red onions and capers both things you would normally serve with salmon. This one ended up getting mixed results. I really liked it, though thought it could use more capers. Matt on the other hand thought it wasn't great, but wasn't sure what would make it better. Next up was the Muffaletta Pizza, this one was a hands down winner. Matt topped homemade pizza dough with some slices of salami and smoked ham then added some Olive Muffaletta that he ordered from That Pickle Guy. All of that was topped with grated provolone. So tasty! But so greasy from the olives, I felt guilty having a third slice. Next time we'll try to drain the olives a little more, but we will be making this one again. We have three more weeks of construction on the bathrooms and then a some point all our windows and doors are being replaced. Who know when we'll get back to a complete normal house? I don't care what kind of pizza it is, I'll probably like it. Well, that may not be 100% true. Haha! you two eat pretty darn well for remodel. i wouldn't have the time! order out is what we do. I don't usually like seafood on pizza, but I used to get one that had prawns, crumbled feta and the tiniest wafer thin slices of lemon on it. The lemon was amazing - maybe that would provide the boost your smoked salmon pizza needed? Or just a squeeze of lemon at the end? A long process, I'm sure, but very exciting. I can't wait to see the finished product! 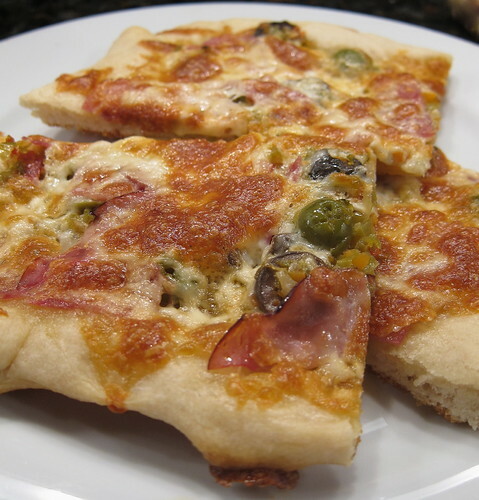 Love the idea of the Muffaletta pizza. Lots of fun I am sure. I bet you can not wait until it is done. In the mean time- pasta and pizza is not so bad. Hope the remodeling goes well! Good luck with the renovations! :) Those pizzas look pretty good from where I am sitting! ah, chaos in the home. what fun. i'm sure it'll all be worth it in the end, but in the meantime, eat more pizza!